There are times when we are going through life, or school, or our job when get hard. We may just want to throw everything away and say forget it. Sometimes we even get mad at God for what’s going and blame him. We may possibly even say things we shouldn’t and really say and just throw ourselves a little hissy fit. People say that they prayed and God didn’t answer their prayers. God may answer your prayer but, maybe not the way you wanted it to be answered. As Christians in this day and time, we have to be the best we can possibly be and control our temper and language, and things of that nature. The slightest thing that somebody sees us do could make them not want to be a part of the church or if they are starting to believe in it they may leave. Just remember that people are always watching no matter what we are doing or where we may be. Even if we think no one is around or watching there is always God who is looking over us! We must learn to be patient in our lives! I know that’s a lot easier said than done, believe me. I’m probably the exact opposite of patient and it’s something I have to work at every day. The bible talks about easily angered people several times in the Bible. Proverbs 29:22 says; An angry person stirs up conflict, and a hot-tempered person commits many sins. Again in Proverbs it says in chapter 22, verse 24; Do not make friends with a hot-tempered person, do not associate with one easily angered. We need to make sure that every day we are aware of our attitudes and work on being patient every day! 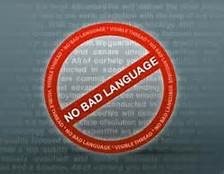 Now specifically we’re talking about foul language here. It’s nothing nowadays, in whatever city or town you live in, to hear people rattle off several curse words in their everyday language. People don’t even get mad anymore before they pull out the bad language and that’s disappointing. Even worse than that, there are Christians today who do the very same thing, and it’s unacceptable! The scriptures are plain in many places about the fact that we should speak to people with a sense of meekness and care for the souls of the lost such as I Peter 3:15 and James 3:13. Our speech should be seasoned with salt as Paul taught the Colossians in Colossians 4:6. We can set ourselves apart from the world if we don’t talk like they do. We see how true this really is in Mark 14. Peter is outside the palace where Jesus is being tried the night before our Lord was crucified. A group of people recognizes Peter as a follower of Christ, and so they call him on it. Peter denies this twice, but the third time Peter denies Christ, he curses and swears, verse 71. “71 But he began to curse and to swear, saying, I know not this man of whom ye speak.” Obviously, his accusers believed his claim after the third denial because they didn’t ask him again. Why was this? They knew that no follower of Christ world curse and swear to prove a point, or use filthy language period. It’s the same for us today. We cannot set ourselves apart from the world if we talk and act like they do. May we all watch what we say. Alcohol is a topic that draws a lot of attention among religious thinkers. This is understandable as many social conventions revolve around beer, wine, or perhaps a martini. 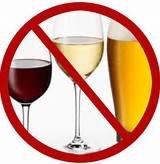 Some people when asked, “Do you drink?” respond, “No, I just drink wine.” Alcohol is alcohol. This discussion covers the SparkNotes a Christian should have regarding alcohol and the Bible. ​The typical promotional arguments for the acceptance of alcohol among Christians are the frequent Bible references to “wine” and the fact that Jesus turned water into wine in John 2. Both of these arguments fall short for the same reason: ignorance. Ignorance is not bliss as some would rally. Ignorance can lead to a spiritually lethal misunderstanding of God’s word. What are people missing when they make this argument? The fact that the word “wine” we are familiar with has not always referred to an alcoholic beverage is the misunderstanding. Many times in the Bible, the word “wine” refers simply to grape juice. While there is more than one Hebrew word for wine, the interpretation of the word lies in the context. Studying the context of a Bible passage often reveals if the “wine” under discussion is alcoholic or not. ​Perhaps the best, all inclusive passage a Christian could read arguing against the drinking of alcohol is found in the book 1 Peter. 1 Peter 4:3 reads, “For we have spent enough of our past lifetime in doing the will of the Gentiles when we walked in lewdness, lusts, drunkenness, revelries, drinking parties, and abominable idolatries.” The opening statement by Peter makes it clear that the list provided is something a Christian should not partake in. Peter conveniently details every type of alcoholic intake one might imagine. Drunkenness- the individual so dependent on alcohol that he must have a shot of whiskey to get the morning started. Revelries- the typical party where everyone gathers to get smashed with beer. Drinking parties- an elegant affair in which people enjoy a cocktail or two while visiting. Peter could have used further descriptors, but the fact is clear from the passage. Christians should not partake in alcoholic consumption of any kind.